In the past, for a student to schedule an appointment with a librarian, it was usually a long back-and-forth email exchange of days and times and cancelations and rescheduling. That's no more; we've streamlined the process. Let your students know. 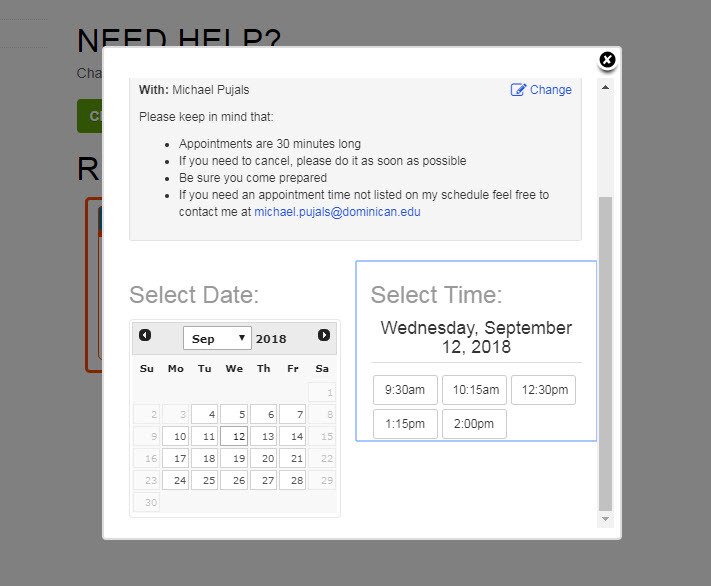 We've add an appointment scheduling system to our suite of tools. 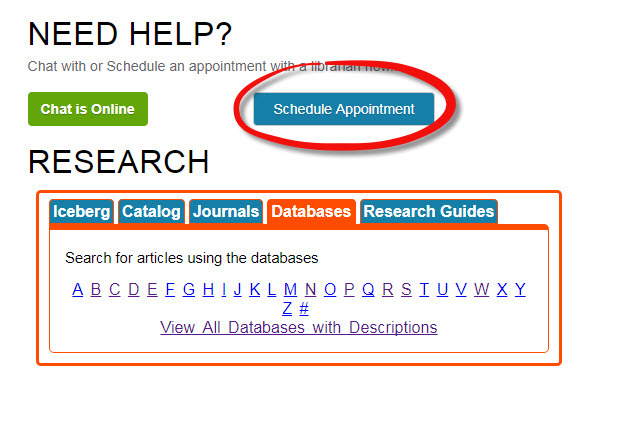 You'll see a Schedule Appointment button on the Library's website our contact pages, and FAQs. Click on the button and you'll see which librarians have appointments available. Most likely you'll choose the librarian that works most closely with your department. You'll receive an email confirmation with instructions on how to cancel the appointment if you need to.